You want your audience to quickly dial your contact number using their smartphone. So you can simply give them your contact number. However, they’ll have to open their phone, open their calling app, dial your number, and call you. This is a time taking process and needs them to put efforts. Hence, the chances are—most of them won’t do it. But if you make it easy for them to call you, the response rate might sore. A Phone QR Code is just what you need here. When this QR Code is scanned, the user will be prompted to dial your contact number. How do I create a Phone QR Code? 1. 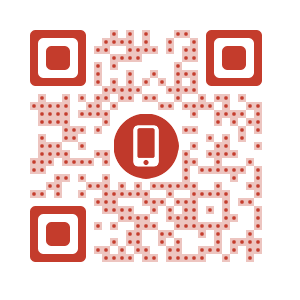 Go to the Phone QR Code Generator. 2. Enter your phone number and click on Create my QR Code. 3. The QR Code has been generated and you are given three design options to choose from – standard black & white, fancy with custom logo, and fancy with custom background. 4. You can either Customize the design or proceed to Download the QR Code. Note that you will need to sign-up for a free trial account to be able to download your QR Code. 5. Also note that a Phone QR Code is a static QR Code. In a static QR Code, the data permanent. And it is not possible to edit this QR Code or track number of scans. If you have to update your contact number, you will need to generate a new QR Code. 6. To view and download your QR Code in the future, find the QR Code in the Campaign Manager (from the sidebar on the left) under the relevant campaign. That’s all you need to know about Phone QR Code. Scanova allows you create various types of QR Codes for both your operational and promotional uses. Create a visually-appealing Phone QR Code to make it easy for your potential customers to call you after they see your print ad.